Here are five essential reasons an olive oil consumer, purveyor or chef should know about the olive oil he or she is buying, selling, serving and consuming. 1. What is the olive to oil pressing ration (I would never eat oil below 20 percent or 5 to 1 olive to oil pressing ratio). 2. 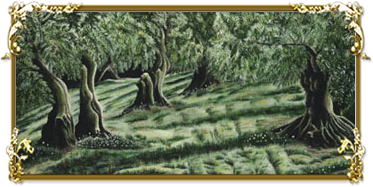 What month were the olives harvested and pressed (September, October or November is too early, olives have not matured). 3. At what temperature was the oil separated from its natural water content (I separate at a cool 42 degrees-45 minutes, while most producers use 90-120 degrees heat-5 minutes). 5. Was the oil mixed with enzymes or chemicals or food coloring (all artisan producers will either mix or blend different olives or oils and add green food coloring and chemical solvents to the oil to reduce acidity, add flavor and color and increase shelve life). 33 Percent Extra Virgin Olive Oil. My olive to oil pressing ratio is 1 kilo of oil from 3 kilos of olives. This means 100 pounds of olives divided by 3 equals 33 percent extra virgin olive oil the highest olive oil percent in the world. Simply put, the lower the olive to oil ratio, the higher the percent olive oil, the greater the quality. All other artisan olive oils are below 12 percent. Limited Numbered Bottles. I produce a Rare Traditional Single Cultivar Extra Virgin Olive Oil from Ancient Athenolia olive trees. We hand harvest between December and February when the olives have reached perfect ripeness and press using an Old Fashion Pressure Press. A normal 700 kilo pressing will take over three hours. Each years harvest range from 600 to 1400 numbered bottles of the finest extra virgin olive oil in the world. Shelve life over 8 years. Following in my father’s footsteps, I fill 5 small bottles of oil from each year’s harvest. Example: The bottles are dated 1997 harvest and numbered 3, 4, 5, 6, 7, and 8. I will open bottle number 3 after the third year, number 4 after 4 years and so on, up to bottle number 8 (eight years), testing for flavor, aroma, color and longevity. All Artisinal olive oils recommend you consume the oil with-in a few months. Pop the cork of the bottle. My oil is so full of life, when I slightly over-fill my Vordonia Athenolia Extra Virgin Olive Oil bottles, the cork will pop-off the top like a fine Champagne. No other oil can pop the cork of the top. Cold separated. Always ask your olive oil producer or salesman “what temperature was the olive oil separated from its natural water content”. Most producers will separate the oil in 5 minutes at 90-120 degrees heat. In the U.S.A. olive oil is the only food product not regulated, labeling is voluntary and cold pressed ONLY means olives are a winter fruit. Most bottles labeled extra virgin are above the .1 percent acidity level and each bottle could contain up to 80 percent hazelnut, soy or other seed oils.